What better way to display your flowers and foliage than in a vase that has similar characteristics. This Texas Cactus Vase is a beautiful emerald green colour and has a square base with four leaves coming up to shape the vase. 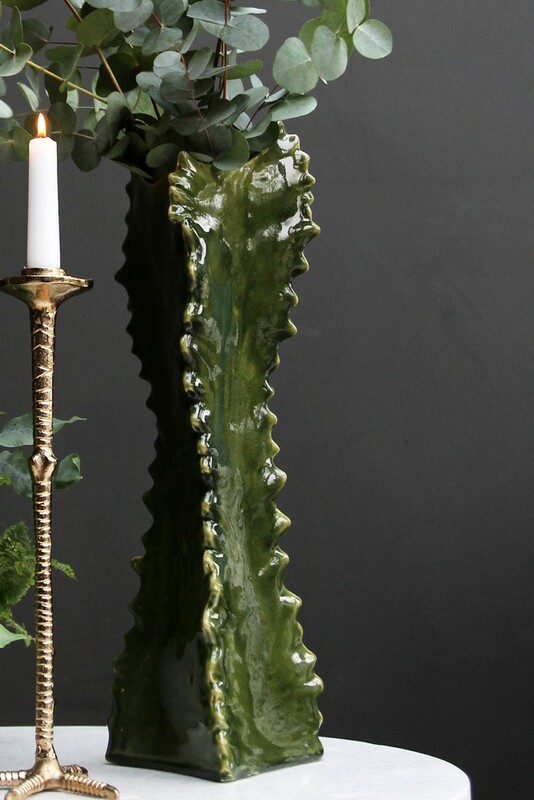 The bumpy edges of each leaf give the cactus shape and provide a texture and look that will make this vase stand out just that little bit more, sadly this does mean that it is only compatible with faux plants as water can get between the edges. Alternatively,you could place a tumbler inside so that you can then display real flowers in it too.